Unless you’ve come into newfound wealth, your parents have hooked you up with extra cash flow, or you’ve been a lifelong saver, purchasing a home will require that pesky thing known as a mortgage. For the majority of homebuyers, particularly first-timers, there’s no way around it. But that doesn’t mean getting a mortgage has to be a gut-wrenching process. Sure, you need to have your document ducks in order and figure out how much home you can afford before you go shopping. The keys: planning ahead and having patience. Spoiler alert: There’s a lot for borrowers to wrap their heads around – the types of mortgages and the terminology associated with them, to name two. Thankfully, GoodCall can help cut through the noise and provide you with the lowdown on getting a mortgage. A basic question but an important one: A mortgage is a loan that helps bankroll the purchase of a home. The house is collateral if the borrower can’t pay back the loan. Mortgages got their start in the 1930s with insurance companies – not banks – aiming to make money by charging fees to lend. In 1934, the Federal Housing Administration launched a mortgage geared toward people who were shut out of the existing system. The program was designed to pull the country out of the Great Depression. Fast forward to 2016 and mortgages are the main pathway to home ownership. Without them, the number of homeowners in the U.S. would be much lower. There are now several different types of mortgages. Below is a breakdown of what a borrower can expect to find. Today, most mortgages are Federal Housing Administration, or FHA, ones, which means they are backed by the U.S. government. Because they have the full backing of the federal government, they can offer borrowers more generous terms than their private lender counterparts. For starters, take the down payment. After the housing meltdown in 2007 and beyond, private lenders got more selective about mortgage candidates. Most lenders now require a minimum of 5 percent down, with many requiring 10 percent. For a $200,000 home, that means the borrower must come up with as much as $20,000. With FHA loans, the down payment requirement is 3.5 percent – $7,000 for that same $200,000 home. FHA loans also are more lenient in terms of the borrower’s credit score. While most non-government lenders require a credit score of at least 680, the FHA approves borrowers with credit scores as low as 500 – though borrowers who fall into the 500 to 579 range must make a 10 percent down payment. FHA loans can make owning a home more accessible for individuals with less-than-perfect credit. However, having a lower credit score will cost you more in interest charges. This is because lenders view borrowers with lower credit scores as higher risk or more likely to have trouble making on-time payments or foreclose on the loan. The knock on FHA loans: mortgage insurance. There’s an Upfront Mortgage Insurance Premium charge and then an ongoing one, the Annual Mortgage Insurance Premium, which is spread out in monthly installments. Obviously, that has an impact on the loan repayment. For most borrowers, mortgage insurance for FHA loans doesn’t ever go away, which is why some borrowers aren’t so keen on them. For FHA loans assigned on or after January 26, 2015, the Upfront Mortgage Insurance Premium (MIP) charge is 1.75% of the base loan amount. For a $250,000 loan, for example, this amounts to an additional $4,375. This amount is either paid up front during closing or it can be rolled into the mortgage cost. How much does annual MIP cost? 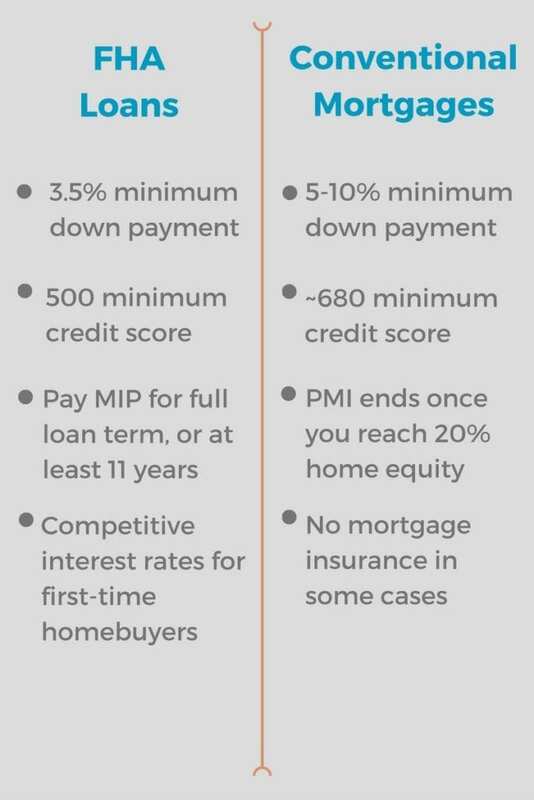 How much you pay in annual MIP varies depending on the loan amount, loan term (or how long you have to repay), and loan-to-value (LTV) ratio. The LTV ratio is calculated by your lender by dividing your loan amount by the home’s purchase price or appraised value (whichever is lowest). Borrowers with an LTV of 90% or less are eligible to stop paying annual MIP after 11 years. However, borrowers with an LTV greater than 90% will pay MIP for the entire duration of the home loan. 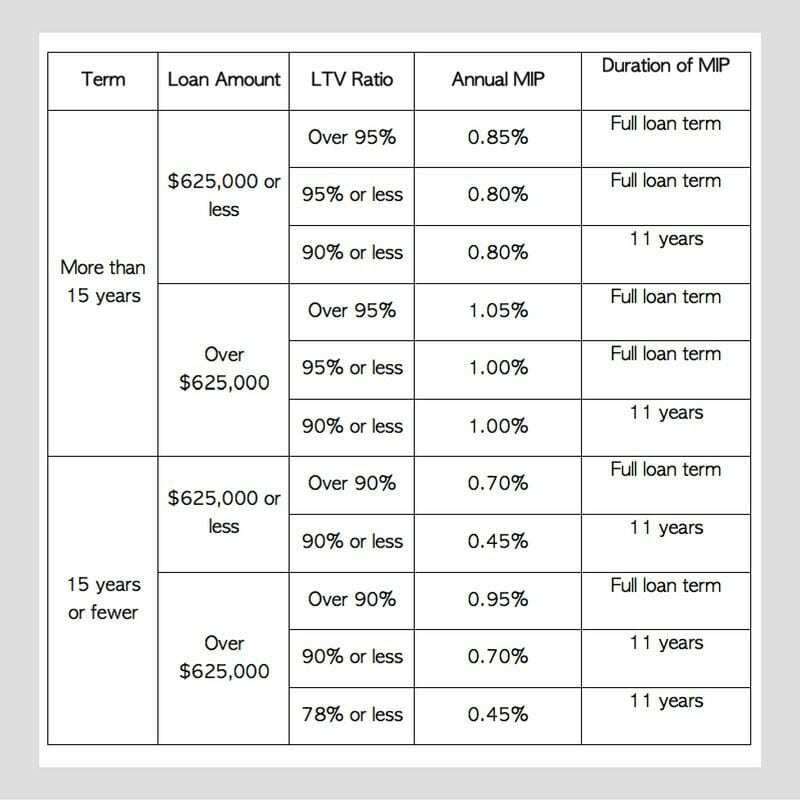 Below is a table that details the annual MIP rate based on different LTV scenarios and which shows how loan term and loan amount affect the rate of MIP as well as how long a borrower will pay MIP with an FHA loan. What does MIP cost over the life of an FHA home loan? With an LTV ratio of 90% or less, for example, a borrower can expect to pay a total of $64,375 in MIP charges on a 30-year loan for $250,000. This is excluding any additional interest charges in the case that a borrower chooses to roll the Upfront MIP into the mortgage. At a shorter term of 15 years, with the same LTV ratio, MIP charges will cost approximately $21,250 over the loan term, excluding any related interest costs. While FHA loans can help first-time buyers or those with less than stellar credit, those mortgages aren’t for everyone. Borrowers with strong credit profiles and/or the ability to make larger down payments can get favorable terms for a conventional mortgage from private lenders. These so-called conventional mortgages aren’t backed by a government agency. Typically, the interest rate is fixed for conventional mortgage loans, which means it stays the same for the life of the loan, usually 30 years. Some lenders also offer shorter loan terms of 10, 15 or 20 years. For conventional mortgages, the lender often requires down payments of at least 5 to 10 percent down; typically, those who don’t put down at least 20 percent must purchase private mortgage insurance (PMI). PMI can be waived once there is 20 percent equity in the home. And, there are even ways to get around paying a PMI completely. Another option is the adjustable rate mortgage. ARMs have an interest rate that changes over time, depending on the terms of the loan. Take a five-year ARM. With this type of product, borrowers pay a low interest rate for five years but then the rate can go up based on rates at that time. That works out well initially, but borrowers may face sticker shock after the rate “adjusts.” This was one of the reasons for foreclosures during the housing meltdown. Still, ARMs can be a good product for buyers who don’t plan to stay in a home for the long haul or who think they will be in a better financial position at the end of the initial term. The government rewards service in the U.S. military with VA mortgage loans. The U.S. Department of Veterans Affairs guarantees these loans to help veterans or their surviving spouses. Qualified lenders make these mortgages, offering generous terms. Prospective borrowers can’t be rejected for having a low credit score. They don’t need down payments. Only the past 12 months of their credit history typically are considered. Terms are so favorable that mortgage experts say VA loans should be the first stop for those who are veterans. Getting approved for a mortgage takes some work by the borrower. That’s because the loan goes through assessment known as underwriting to figure out whether a candidate is worth the risk. The first stop is the appraisal. Before the lender will approve a loan amount, it must make sure the house is worth what the borrower plans to pay compared with similar houses in the neighborhood. The lender will send an independent appraiser to the property to get an expert opinion on the house’s value. The appraisal typically costs $300 to $500, usually paid by the borrower. Getting the green light from the appraisal is half the battle, then comes the title search. The lender wants to make sure there are no liens or claims on the home and will hire a title company to do a background check on the property. After its due diligence, the title company will issue title insurance to protect borrower and lender. For the loan to be approved, lenders also require homeowner’s insurance, flood insurance if the home is in a flood zone, and in some cases, a survey to confirm the property lines. Lenders require a lot of documentation. They want to ensure borrowers can make their payments – they don’t want to foreclose on the home. Lenders understandably will put prospective borrowers through the wringer to confirm that. W-2s from the last two years. A list of monthly debts not listed on the current credit report, such as auto loans, student loans, and credit card bills. Include the creditor’s name, address, account number, minimum monthly payment and the outstanding balance. This is only for new debt that isn’t listed on the credit report. Why does the lender need so much documentation? This is to assess the borrower’s debt-to-income ratio – the percentage of monthly income that is spent on bills each month. With an FHA loan, housing-related debt can’t exceed 31 percent of a borrower’s income and 43 percent of total debt. With a conventional mortgage, a borrower’s debt can’t account more than 43 percent of his or her income. For some with student loan debt, getting a mortgage became a little harder in 2016. This is because the FHA previously allowed lenders to exclude student loan debt from the borrower’s debt-to-income ratio if the loan was deferred. Now, it must be included, which, for some student loan borrowers, could drive the DTI ratio too high for loan approval. Or, it could mean these borrowers will be approved for much less. For borrowers on income-driven repayment plans, the FHAalso recently changed how mortgage lenders calculate monthly student loan payments in the debt-to-income formula. Rather than using a prospective borrower’s actual income-driven monthly payment, lenders must now use 1% of the total student loan debt – unless the actual payment reported on a prospective borrower’s credit report is higher. These changes will particularly affect student loan borrowers with higher loan balances. It may seem like a waste of time, but Bob Walters, chief economist at Quicken Loans, says it’s a good idea to sit down with a mortgage broker at least six months before you start shopping for a new home. Doing so gives prospective buyers an idea of whether they can qualify for a mortgage, as well the amount of a loan. During that six months, it’s also important to pay all bills on time and not take on any new debt. Speaking of new debt, once the home-buying process begins and until the process closes, don’t buy a car or furniture, take out a student loan, or incur any new debt. “Your credit score doesn’t matter for your day-to-day, but it does matter when you are buying a home,” says Walters. One way to reduce the home-buying timeline is to get preapproved for a mortgage. That happens when the applicant provides the documents needed to underwrite the loan before he or she starts shopping for a home. If the lender approves the potential borrower’s application, it will issue a conditional commitment, also known as a preapproval letter, says Richard Bettencourt, a mortgage broker with Mortgage Network Inc. Lenders likely are going to be relatively close when it comes to interest rates, but there can be a big difference in fees. Loan origination fees, title search, appraisal and other fees can add greatly to the cost of the mortgage. But lenders have at least some wiggle room on the charges. Getting a mortgage can be achieved in a host of ways. Borrowers can call individual banks to get rates and terms, work with a mortgage broker who will provide multiple rates from different lenders or go online to a private lender. Financial technology has even made it easier to apply for a mortgage with a handful of apps designed to walk applicants through the application process and get approvals in minutes. For an FHA loan, your application is evaluated using a formula that allows for up to 31% for housing-related debt in your debt-to-income ratio. With other types of mortgages, this percentage is similar but may vary depending the type of loan and personal circumstances. However, just because a lender approves you for that much mortgage doesn’t mean you should necessarily lock yourself into a payment that’s right at the threshold. Instead, go with a payment that’s low enough to allow you to make additional contributions. Take a $250,000 mortgage for one example. 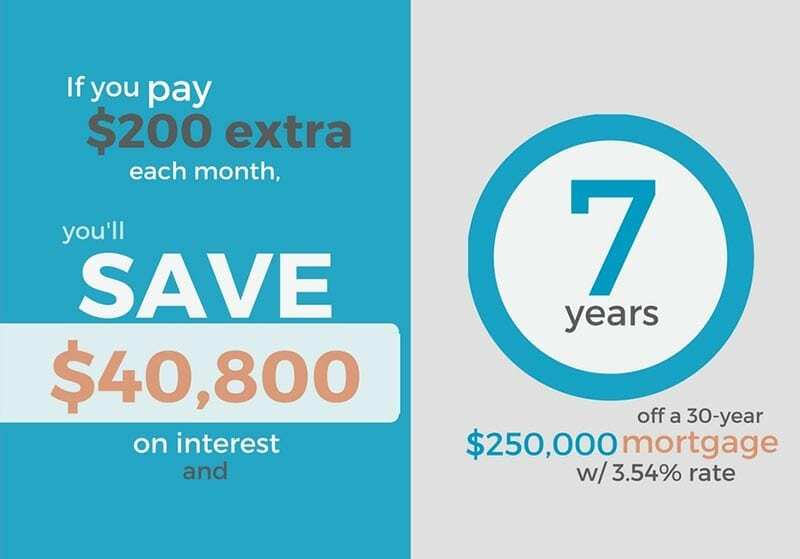 With an interest rate of 3.54% over 30 years, your regular monthly payment will be about $1,128. 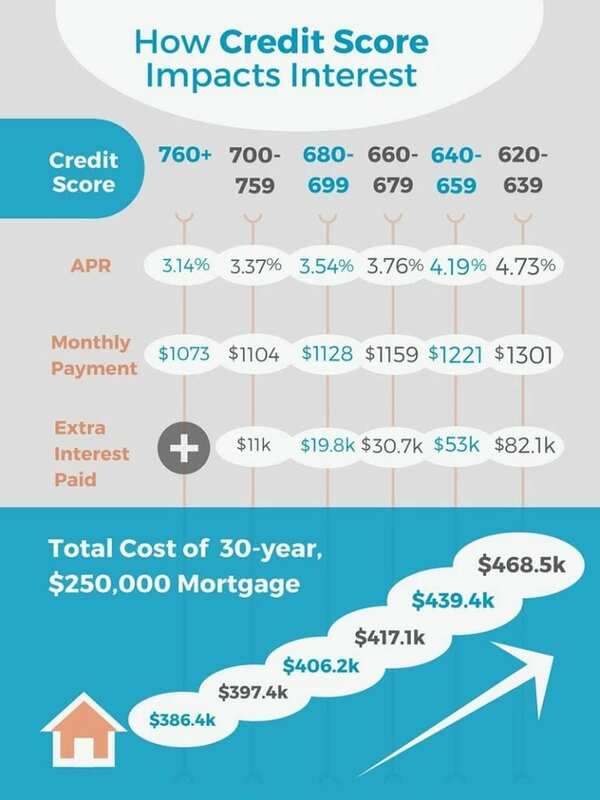 However, if you’re able to contribute an extra $200 each month to pay down the loan faster, you’ll actually end up paying off your mortgage seven years sooner and saving about $40,800 in interest charges. Getting a mortgage may be a little tougher than it was just a few years ago. However, if you plan ahead and weigh your options carefully, you can make the process go a lot smoother and increase your chances of being approved and getting the best terms available to buy your home.